The winner is DeviceHub, a startup that helps make sense out of all the data connected devices send to each other. 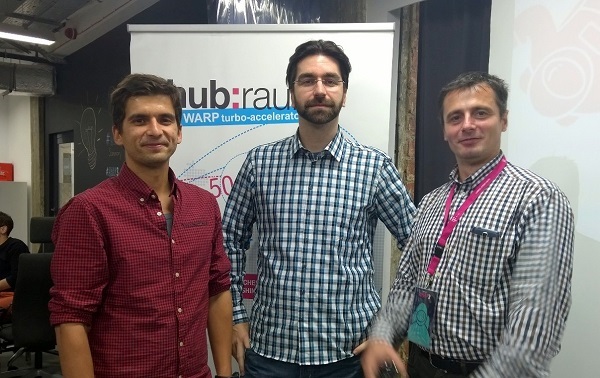 It was cold and Christmassy in Krakow, but it was warm and productive at hub:raum during the eight days of the accelerating program. Eleven teams from different parts of the Europe gathered in Poland in order to work on their products and to give their best in the five minute pitch at the Demo Day. All of these startups have a chance to collaborate with the telecom industry, said Jakub Probola, head of hub:raum Krakow, otherwise they wouldn’t be accepted for the program. 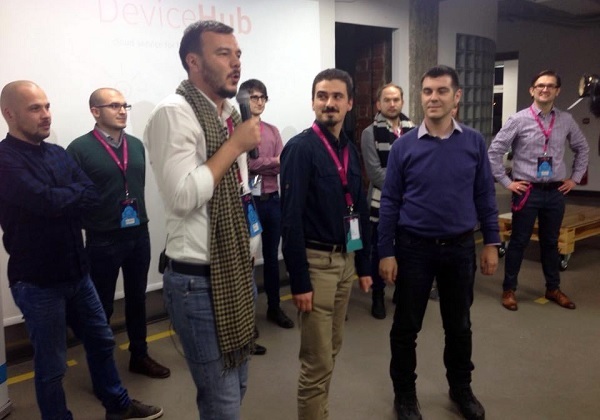 Luka Sucic, the Evangelist at hub:raum, pronounced the best team of the program – DeviceHub from Romania, which got the prize of 5000 euro. Driver Copilot from Croatia took the second place, while the third was reserved for Pzartech from Israel. The runner-up: Device Copilot from Croatia. All of the participants received 5000 dollars’ worth of Amazon Web Services vouchers, but the most valuable part was the intense education and the program, with all of the expenses covered, and the networking with the investors and the representatives of the telecoms from the DT group. 11 teams took part in lectures and workshops during the program that covered pretty much all of the important topics for their startups. They talked about the future of digital transformation, innovation, creativity; they talked about the collaboration of startups and telecoms and discussed if it is a match made in heaven or perhaps a bad clash. Business development, pragmatic UX, sales… But maybe the most interesting part was the workshop with the Pitch Doctors, Bianca Praetorius and Christoph Sollich, who ‘dissembled’ and ‘reassembled’ the presentations for every team and learned them how to talk loud and clear, stand up straight and not to let the audience fall asleep. And the startups that took part at the WARP program are Sense, a tool for online newspapers that increases the engagement of readers, DeviceHub, a platform that gathers data from the connected devices but also makes sense of it and helps its users to make smarter decisions, Black, a PaaS for developers that allows them to integrate communication features with just a few lines of code, Clepsisoft, a network of sensors that help companies to defend themselves against cyberattacks, Driver Copilot, a connected car solution that helps drivers to drive safer and efficient and also allows car insurance and other related companies to place their products and services on the market. Perfecta.io is an IT solution for real-time Business Intelligence, BodyRecog is a body shaping tracking app that helps you measure yourself accurately just by snapping a photo, Pzartech offers a simplified approach for the 3D printing, HiveCord enables users to connect one on one with their audience via live video sessions. Misto is a to-do app for housemates and Brainit is a home automation company. A few of the older generation’s startups presented as well, such as GoDiscover, MarkO, Rawstream, Holepatchers and others. The eleven startups returned home at with a few more contacts in their pockets, a bit more knowledge in their heads and a few more plans for the future. New Year is in front of us and we’re sure all of these teams will make a best of it!